APPROACH team members are fly fishing enthusiasms who devote their limited after-work hours to encourage friends around them to explorer the beauty of fly fishing. Rather than throwing beginners expensive gears and then kicking them to the water with continuous aimless casting, while keeping their cash in pockets, APPROACH team prefers to know more about what local anglers really want, by discussing with new comers, maybe a couple of email or phone conversation, then to see what they can get from us in the realm of fly fishing. 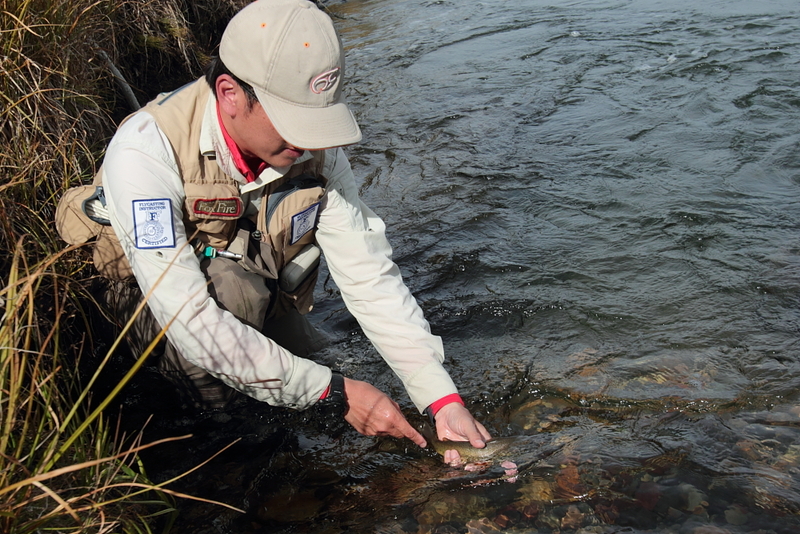 APPROACH team aims to introduce inner parts of fly fishing to Taiwan fly anglers. By sharing the stories, methodologies, and even some fun ideas, Approach team proves fly fishing to be none of a productive way to pillage fish, a glamorous way to raise social status, or a gearhead way to show off personal wealth, but a WAY TO APPROACH THE TRUTH, NATURAL, AND FRIENDSHIP.